PHOTO: Allen Ramsey, DWCPhoto.com. 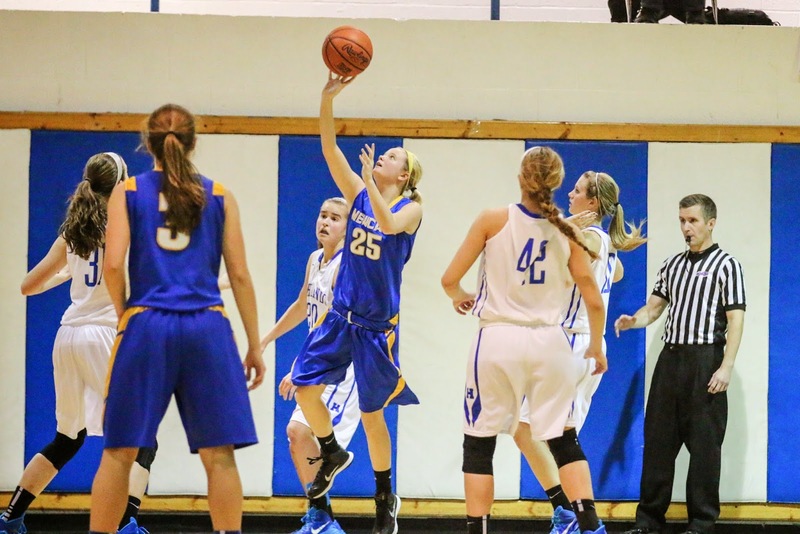 Highlands sophomore Kiersten Clukey (middle) jumps up for a shot in a recent game against Simon Kenton. Clukey has provided valuable minutes for the 36th District champion Highlands Ladybirds. Highlands (29-3) is looking for its first 9th Region championship since 2001. COVINGTON – The hope entering Saturday’s 9th Region Basketball Tournament draw was to put yourself in the best position possible against the 35th District teams. PHOTO: Allen Ramsey, DWCPhoto.com. Newport Central Catholic senior Drew McDonald goes in for a score in a recent game. The 6-foot-7-inch post had a double-double of 17 points and 12 rebounds to lead the Thoroughbreds to their seventh straight district championship on Friday. NEWPORT – No one was expected to deny the Newport Central Catholic Thoroughbred boys basketball team its seventh straight district championship. PHOTO: Allen Ramsey, DWCPhoto.com. Highlands junior McKenzie Leigh (middle) splits two Newport Central Catholic defenders in the meeting on Jan. 3 in Fort Thomas. 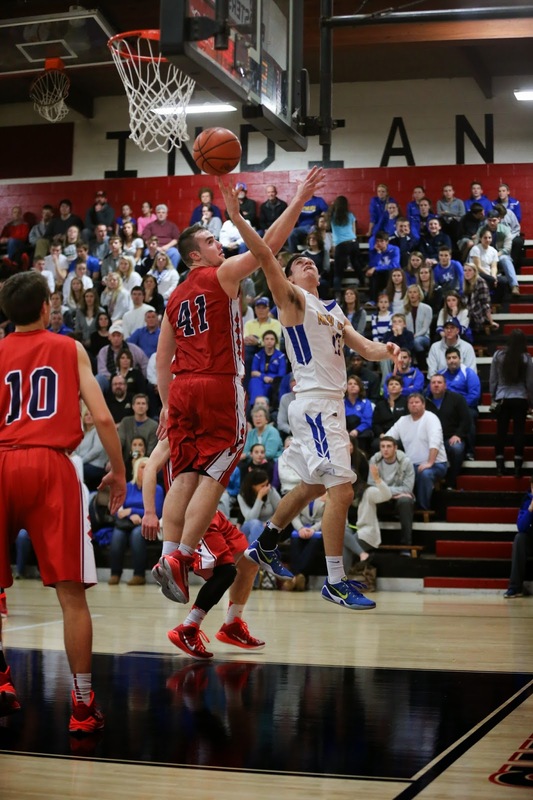 Leigh scored 13 points to help Highlands to its second district championship in three seasons. PHOTO: Allen Ramsey, DWCPhoto.com. Newport Central Catholic's Sarah Neace shoots one in the regular season meeting at Highlands on Jan. 3. NEWPORT – Past evidence gives many good reasons these two rivals do not take anything for granted against each other in the postseason despite the regular season result. PHOTO: Allen Ramsey, DWCPhoto.com. 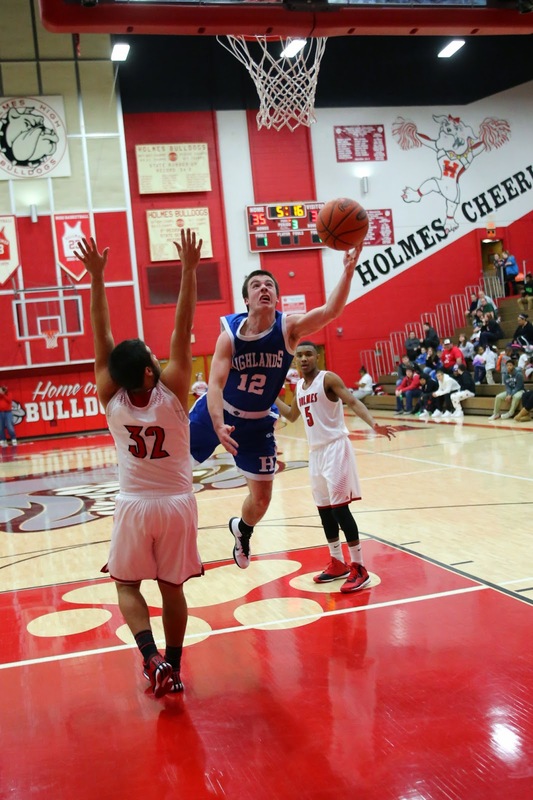 Highlands junior Nick Kendall (12) goes up for a shot in a recent game. Kendall is one of three starters to return next year for the Bluebirds. On paper, an 8-17 record may not look good. Photo: Allen Ramsey, DWCPhoto.com. Newport Central Catholic's Grant Moeves (13) scores in a regular season game. The Thoroughbreds will go for their seventh straight district championship at Newport on Friday at 7 p.m.
PHOTO: Highlands senior Justin Weyer fires up a jumper in a recent regular season game. 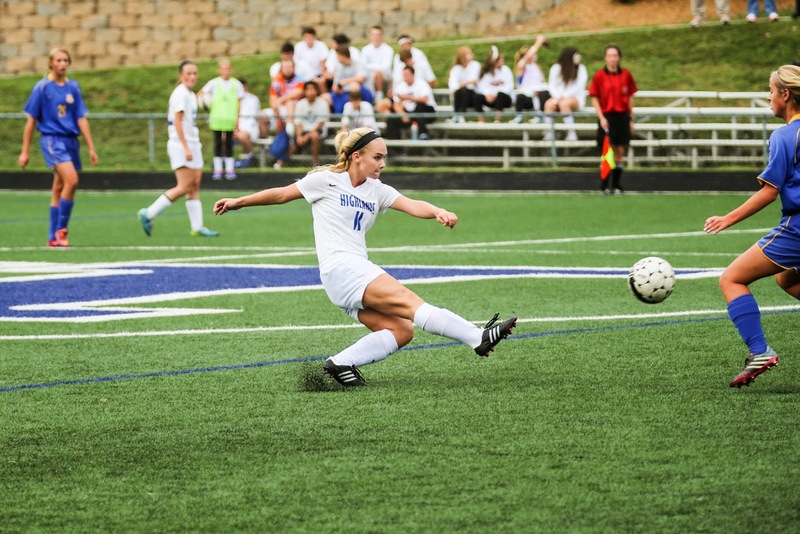 Weyer is one of three Bluebird seniors on the squad that just finished its season. NEWPORT – These two rival boys basketball team would prefer not to see each other in the postseason with the season on the line unless it is for the 9th Region championship. PHOTO: Allen Ramsey, DWCPhoto.com. Highlands senior Alex Combs goes in for the score in a recent game against Simon Kenton. 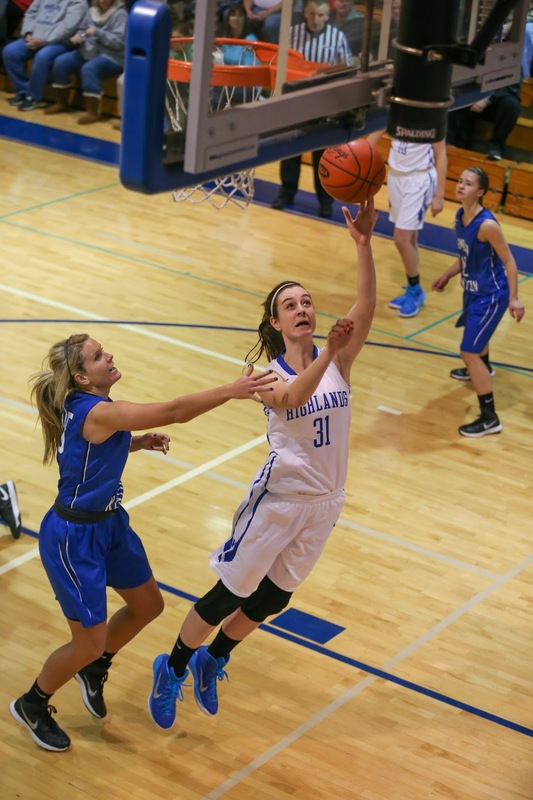 Highlands recorded a sound 36th District semifinal win over Bellevue on Tuesday. For the second straight year since the 36th District changed from the blind draw to the seeding format, the top-seeded Highlands Ladybirds will take on the second-seeded Newport Central Catholic Thoroughbreds for the crown. PHOTO: Allen Ramsey, DWCPhoto.com. Highlands senior Parker Harris goes in for the score in a recent game. The Bluebirds beat the Dayton Greendevils, 59-30 to open the 36th District Tournament on Monday. 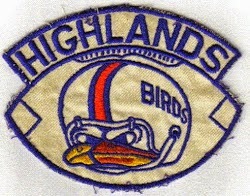 The Highlands Bluebirds made sure their season did not end Monday. PHOTO: Allen Ramsey, DWCPhoto.com. Highlands junior Nick Kendall (12) fires up a shot in Friday's game against Beechwood. 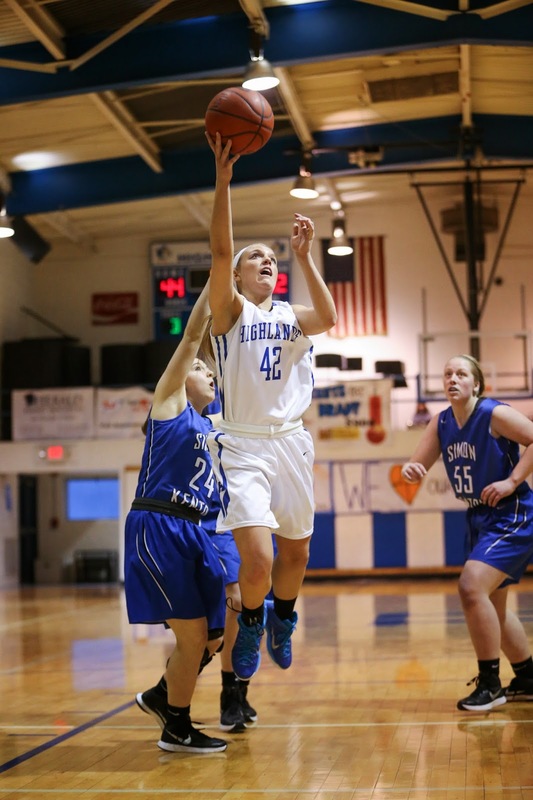 The Bluebirds won 54-49 to conclude the regular season. 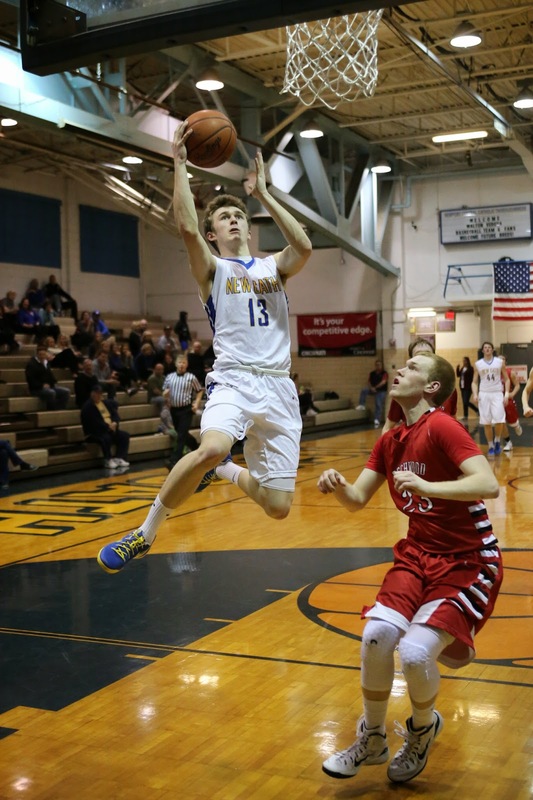 The Highlands Bluebirds boys basketball team hoped to go into the postseason on a positive note. PHOTO: Allen Ramsey, DWCPhoto.com. 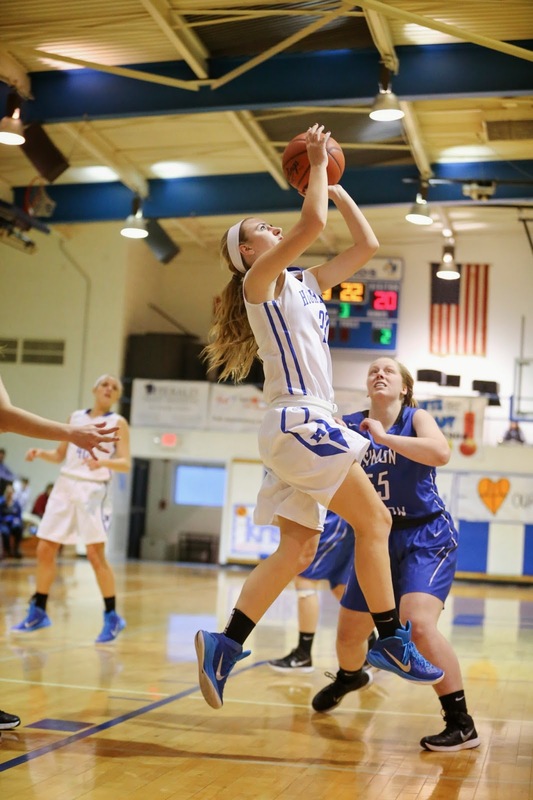 Highlands junior McKenzie Leigh scored two of her 16 points in the final game of the regular season Friday against Simon Kenton. 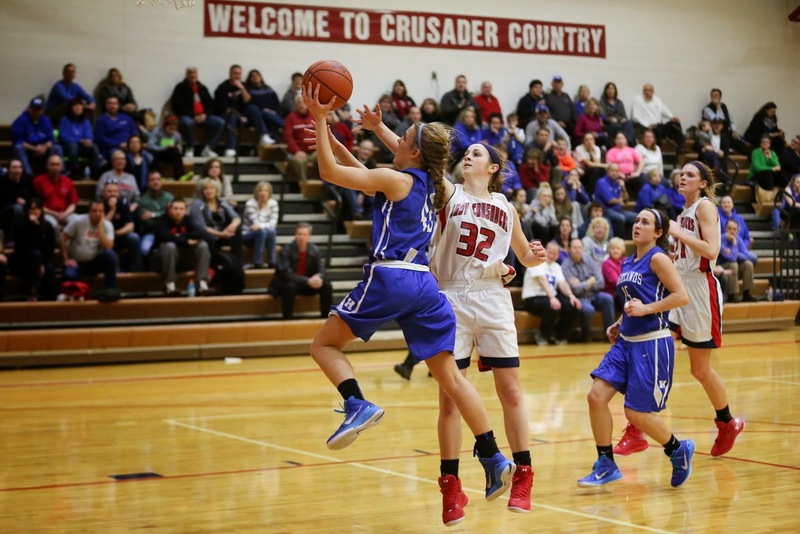 The Ladybirds won 56-34 to conclude the regular season at 27-3. They finished the regular season with an impressive win and set the new mark. PHOTO: Allen Ramsey, DWCPhoto.com. 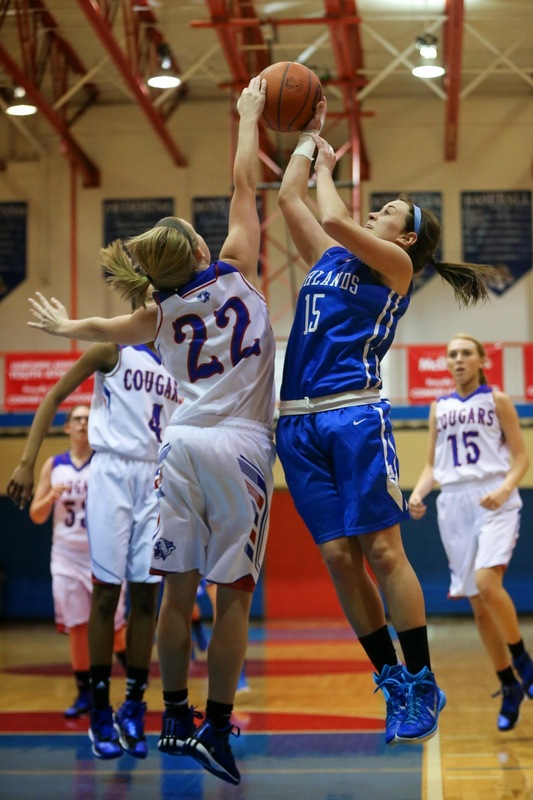 Newport Central Catholic's Michaela Ware goes up strong in a recent game. Ware scored 14 points as the Thoroughbreds downed Conner to end the regular season, 54-49. The Newport Central Catholic Thoroughbred girls basketball team finished off the regular season on the right note Friday. PHOTO: Allen Ramsey, DWCPhoto.com. Newport Central Catholic senior Grant Moeves shoots against three Holmes players in a recent game. The Thoroughbreds won their 15th straight over Conner on Thursday. The Newport Central Catholic Thoroughbreds concluded the impressive regular season with a convincing 75-50 win at Conner on Thursday. PHOTO: Allen Ramsey, DWCPhoto.com. Highlands senior Alex Combs (left) makes a move in a game at St. Henry earlier this season. The Ladybirds conclude the regular season at home Friday against Simon Kenton aiming for their 27th win of the season. That would be the most victories in a season since Jaime Walz-Richey became head coach in 2002. They’ve made the most of their opportunities this year. More area games were called off because of the weather Wednesday. The Highlands and Newport Central Catholic boys basketball game scheduled for Tuesday were not played because of the snow and cold temperatures. Highlands was to play host to Scott and NewCath to Louisville Trinity. PHOTO: Allen Ramsey, DWCPhoto.com. 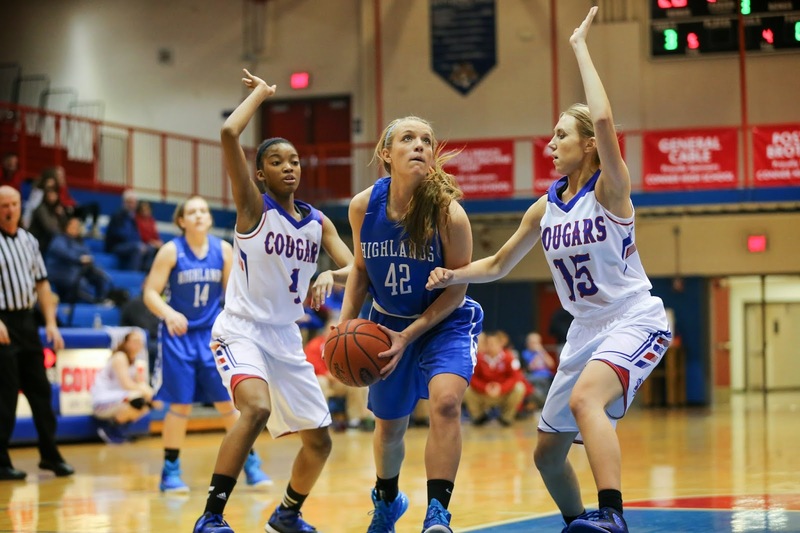 Highlands senior Lydia Graves (20) tips the ball to Haley Coffey (15) in a recent game. Highlands beat Walton-Verona, 69-50 Saturday to earn its 26th win of the season. 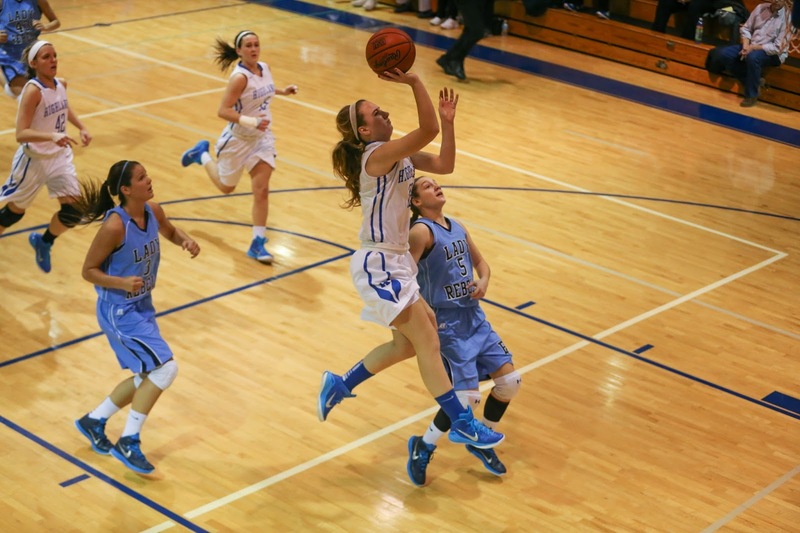 The Highlands Ladybirds basketball team stepped out of region for the last two games of the regular season. PHOTO: Allen Ramsey, DWCPhoto.com. 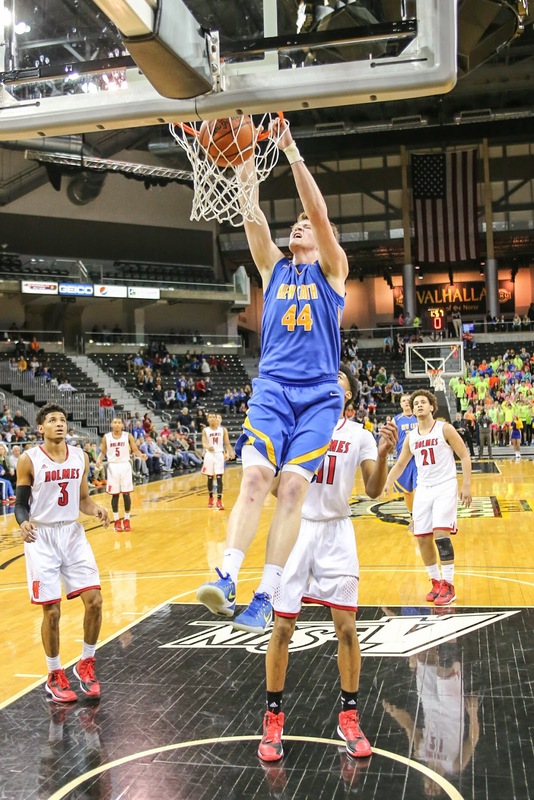 Newport Central Catholic junior Ben Weyer (44) slams one home in Friday's win over Holmes. 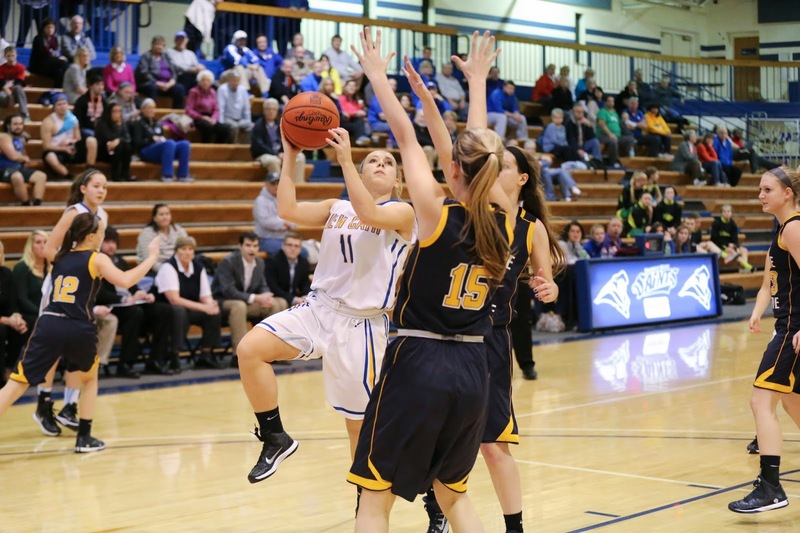 Weyer had a double-double of 18 points and 10 rebounds in the 58-52 Thoroughbred victory. HIGHLAND HEIGHTS – It is all about preparing to make a huge run at the elusive prize for the rest of the regular season. PHOTO: Allen Ramsey, DWCPhoto.com. 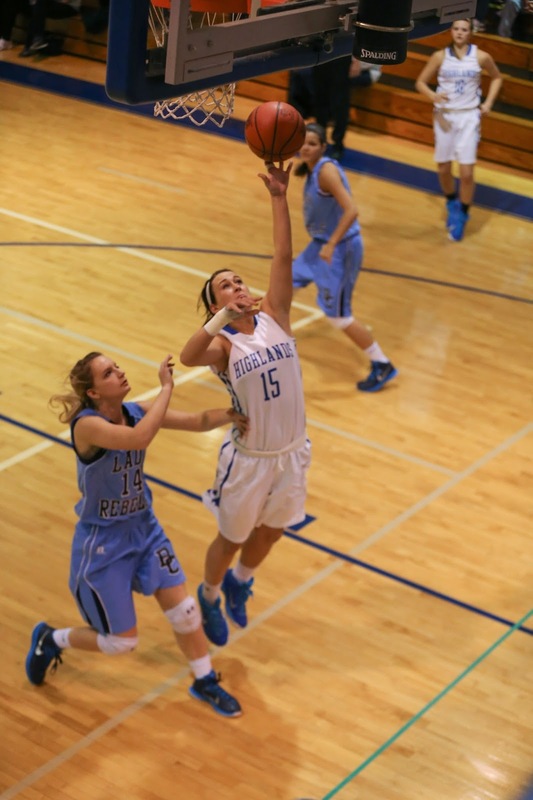 Highlands junior Haley Coffey (15) goes in for the lay-up in a recent game. 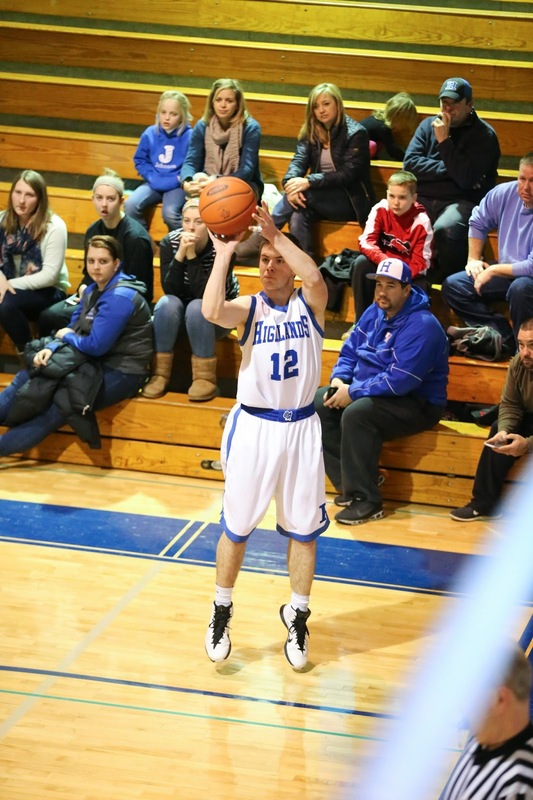 Highlands moved to 25-3 on the season with an 83-39 thrashing of Lloyd Memorial on Friday. The first half of the annual girl-boy doubleheader started off well for the visitors. 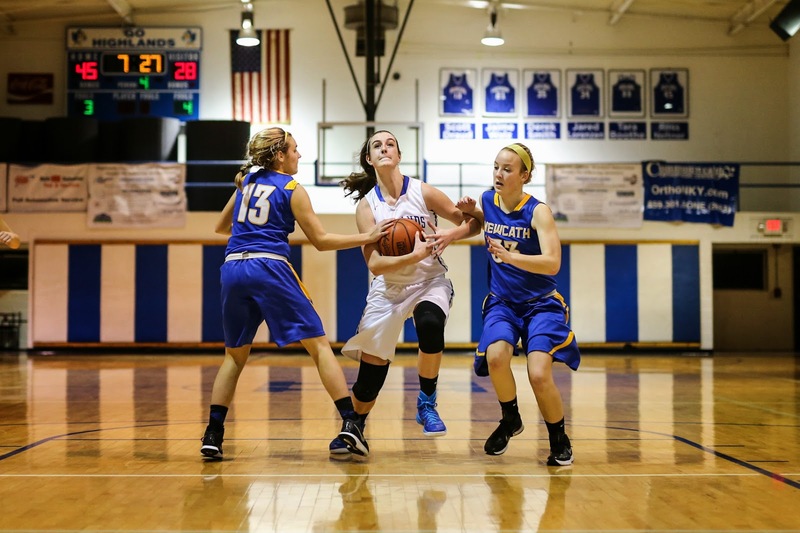 The Newport Central Catholic Thoroughbred girls basketball team moved to 16-10 with a 72-58 9th Region road win Thursday. PHOTO: Allen Ramsey, DWCPhoto.com. 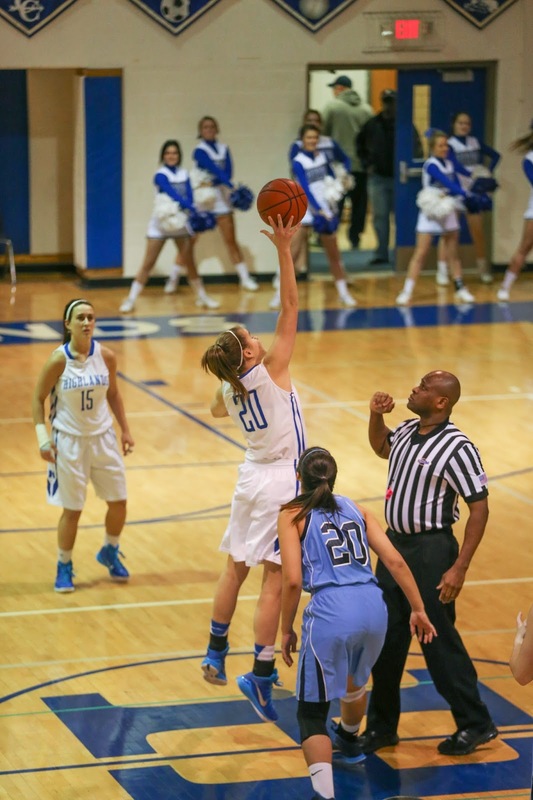 Highlands sophomore Kiersten Clukey goes up for a shot in a recent game against Boone County. The Ladybirds have won seven straight entering the tournament. They know their seeds in the upcoming 36th District Tournament. PHOTO: Allen Ramsey, DWCPhoto.com. 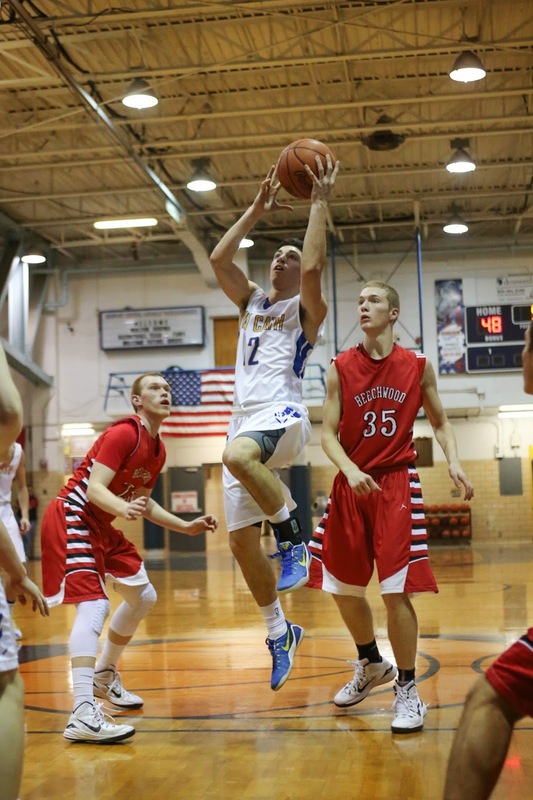 Newport Central Catholic senior Zack Pangallo (12) goes to the basket in a recent game. 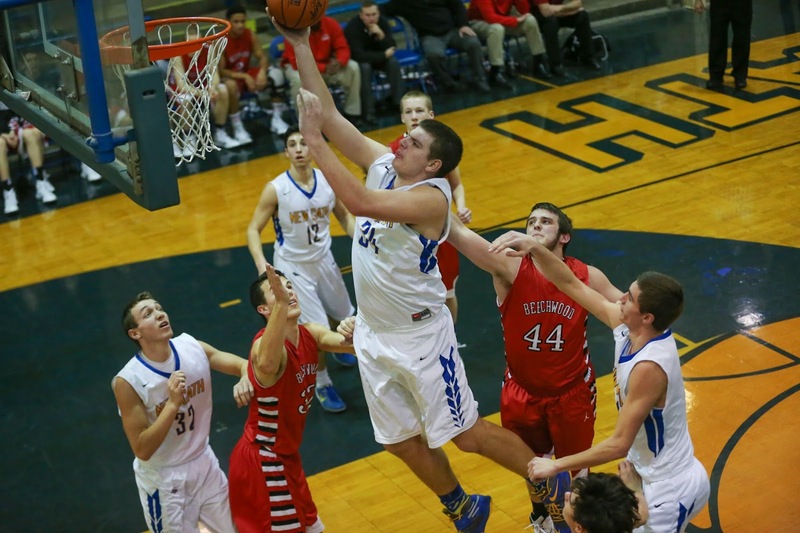 NewCath beat Bellevue, 78-39 Wednesday for its 13th straight win. Make that 29 in a row over 36th District opponents. PHOTO: Allen Ramsey, DWCPhoto.com. Highlands Eighth Grader Zoie Barth goes in for the score in Tuesday's game. 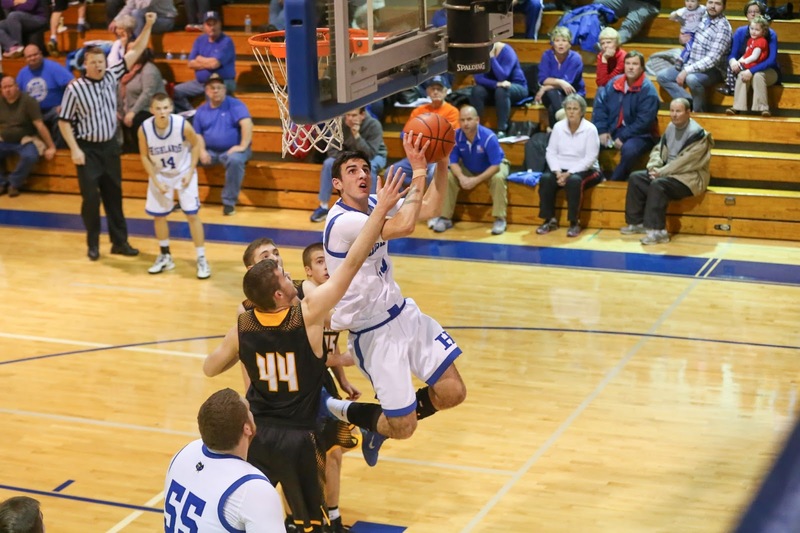 Barth scored a career-high 19 points in the 66-47 win over Boone County. The host Highlands Ladybirds basketball team pulled away from the Boone County Lady Rebels for a 66-47 9th Region victory Tuesday. PHOTO: Allen Ramsey, DWCPhoto.com. Highlands junior McKenzie Leigh makes a move in a recent game. Leigh played for the first time in six games Monday. Highlands beat Cincinnati St. Ursula, 56-24. The Highlands Ladybirds basketball team ventured across the Ohio River and handled a Greater Catholic League opponent Monday for its sixth straight win. PHOTO: Allen Ramsey, DWCPhoto.com. Newport Central Catholic's Michaela Ware (11) goes up against Notre Dame's Allison Gribben (15) in Sunday's game at Thomas More College. NewCath won 50-41. The Newport Central Catholic Thoroughbreds girls basketball team won the 2014 9th Region title game rematch Sunday at Thomas More College. PHOTO: Allen Ramsey, DWCPhoto.com. 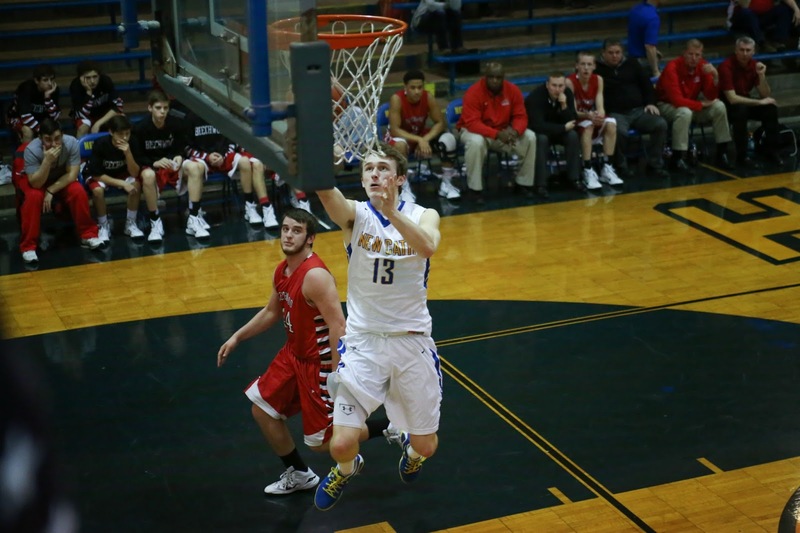 Highlands senior Grant Moves (13) goes in for the lay-up in Saturday's game against Beechwood. 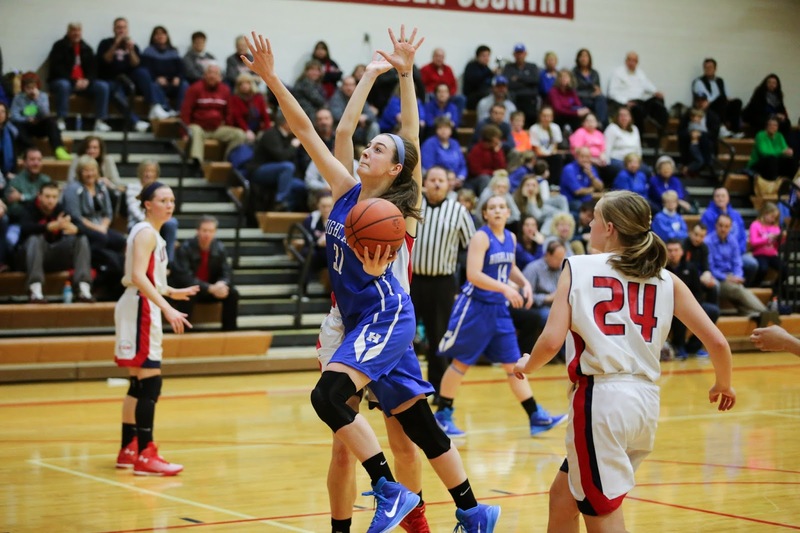 The Highlands Ladybirds basketball team won its fifth in a row with a home 51-42 victory over the Dixie Heights Lady Colonels on Saturday. PHOTO: Allen Ramsey, DWCPhoto.com. 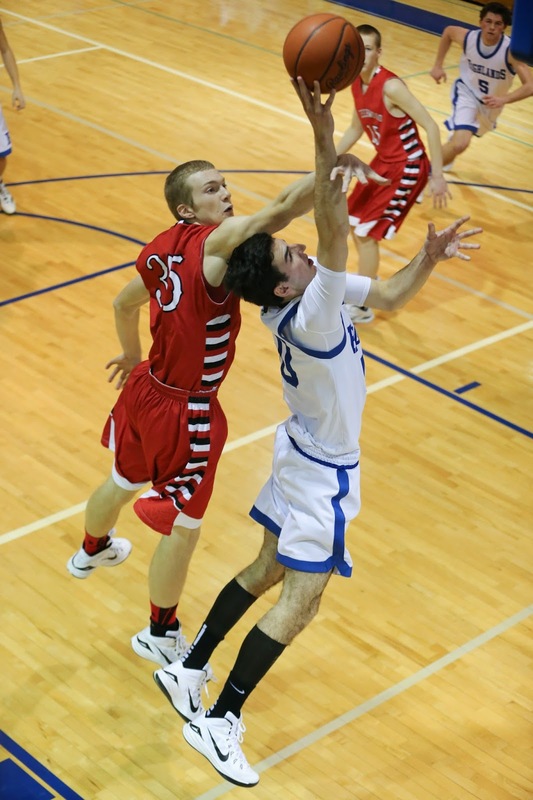 Highlands junior Bo Hebel (55) puts up a shot in Friday's game at Covington Holmes. The Bluebirds put up a fight in the 68-57 loss. 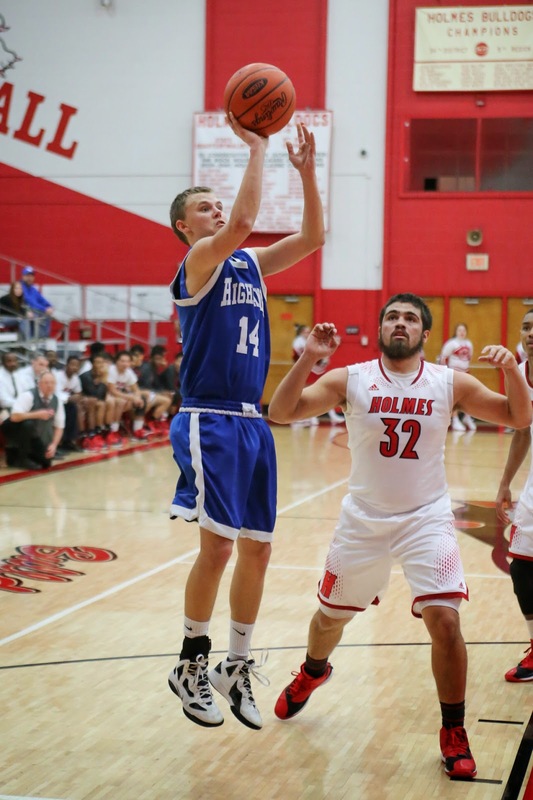 The Highlands Bluebirds basketball team (6-14) put up a valiant effort on the home court of a 9th Region contender Friday. The Newport Central Catholic Thoroughbred boys basketball team had little trouble winning another battle against the in-county rival Bishop Brossart Mustangs. PHOTO: Allen Ramsey, DWCPhoto.com. Highlands senior Taylor Vaughn fires off a shot last season. She signed her letter of intent to play college soccer at Wittenberg University on Wednesday. It’s the day when high school athletes all over the country cement their letters of intent to take their talents to the next level. PHOTO: Allen Ramsey, DWCPhoto.com. Highlands senior Parker Harris tries to score in a recent game. The Highlands Ladybirds hit the 20-win plateau for the third straight season with a 71-45 victory over the visiting Bracken County Lady Bears (16-9) on Tuesday. PHOTO: Allen Ramsey, DWCPhoto.com. 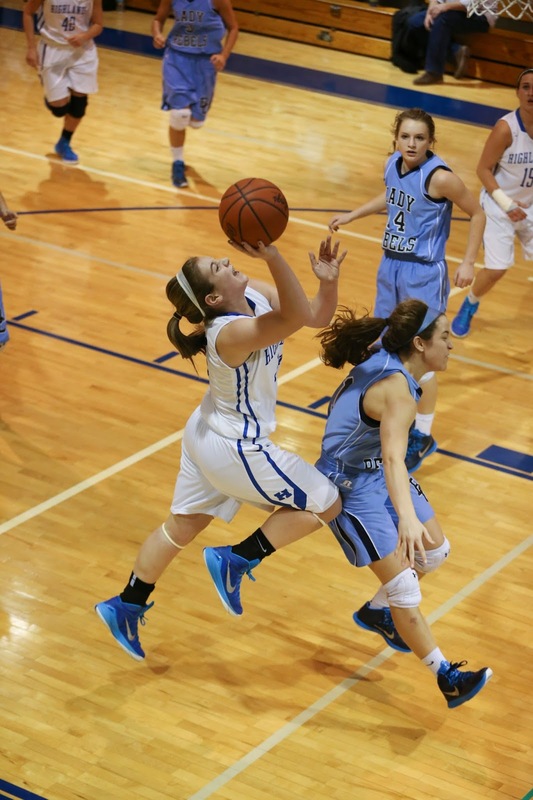 Highlands junior Haley Coffey battles for the ball in a recent game. Coffey had two assists in Highlands' home win over Scott on Monday. The Highlands Ladybirds basketball team recorded an impressive home victory Monday after surviving a rough performance Saturday. PHOTO: G. Michael Graham. The Newport Central Catholic Thoroughbreds basketball team signals three after winning the All "A" State basketball tournament Sunday for the third straight year. NewCath has four titles in school history. FRANKFORT – After receiving a scare Saturday, they put the petal to the medal and made history. PHOTO: Allen Ramsey, DWCPhoto.com. Newport Central Catholic's Zack Pangallo (right) goes up for a shot in a recent game against St. Henry. Pangallo scored 21 points in NewCath's 55-51 All "A" State Semifinal win over Lexington Christian on Saturday. FRANKFORT – The Newport Central Catholic Thoroughbred boys basketball team was not kidding when it said opponents would not let them blaze through the tournament. PHOTO: Allen Ramsey, DWCPhoto.com. Highlands junior Alex Combs (42) makes a move against Conner's Vanessa Gripshover (4) and Bethany Vest (15) in Saturday's 9th Region game. Highlands won 39-38 in overtime. The Highlands Ladybirds basketball team went to overtime on the road in 9th Region play for a second straight Saturday.